Since about 13 years I am putting my music up for sale at CDbaby in Portland Oregon. They have a cool website that explains what you can do and how to do it in such a user-friendly way that even I can handle it and I am a VIP (very impatient person). They send you all kinds of cool suggestions how to sell your music. They answer your questions. They even pay you for your sales. With my latest release I ordered download cards. These are fun. 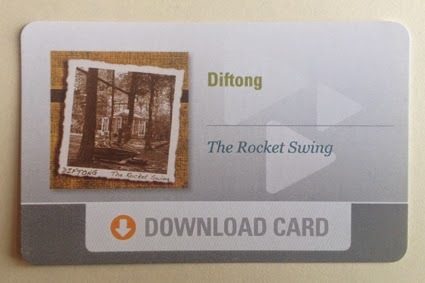 It is a kind of business card enabling the receiver to download my music from the CDbaby site with a unique code. I got a discount and paid very little for them. However, when the DHL man brought them, I had to pay about twice that amount on VAT and another 80% of the amount on administration costs. Flabbergasted, I e-mailed DHL asking why and got a long standard reply I couldn’t really figure out. No specific explanation. No options. They just told me to take my complaint to the sender. So I wrote to CDbaby. They answered straight away, explaining that EU tax rules had changed as of January 2015 and that this was a new problem they would try to tackle. In the meantime they would refund my extra costs. I was flabbergasted all over again. Now, putting all money, tax rules and market-mechanisms aside, I must say this: it is a relief that there are actually people in this world whose reply to your message deals with your problem. Wouldn't it be great if this was the rule rather than the exception.